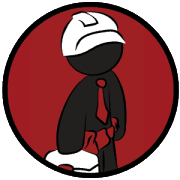 Sockeye offers comprehensive maintenance packages for single-unit and multi-unit complexes. Our certified and experienced personnel are able to provide complete service through full-time site dedicated arrangements and regularly scheduled visits. Our services are also available on an emergency, on-call basis. Sockeye’s strength lies in that we are both proactive and effectively reactive. Routine maintenance services result in a more efficient and lucrative service life of your modular setup. Familiarity with your unit and the ability to reference maintenance logs through Construction Maintenance Management Systems (CMMS) generates faster and better prepared response from our maintenance experts. Our Construction & Mechanical crews work closely to share knowledge and ensure all needs of the client are met by the skill sets at hand.